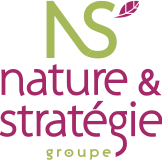 Nature et Stratégie was founded by Samuel Gabory in 2009. Discover the group in a short 5-minute video. R&D, manufacturing…. Discover our various companies. Find out about our quality step deeply-rooted in the respect for the environment.